1. Put mushroom under a hot grill for about ten minutes. After 5 minutes lay tomato slices on top. 2. While the mushroom & tomato are cooking, bring a medium size pan of water to the boil. Add 1tsp of white wine vinegar. Crack egg into a mug, then tip into boiling water. Do the same for the next eggs. Poaching takes 3 mins. Remove eggs with slotted spoon & set to one side. 3. In a small bowl or ramekin, combine the sour cream with the smoked paprika. 4. 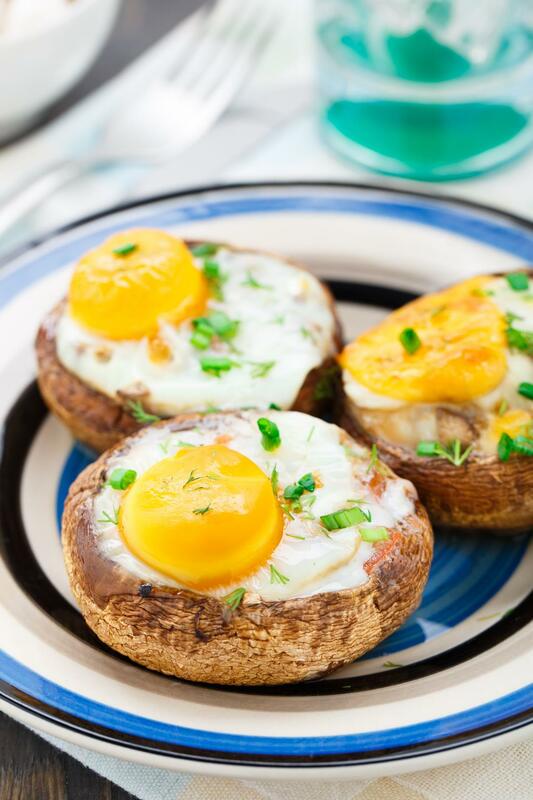 Top mushroom with slice of ham, followed by the egg, then the cream & sprinkle parsley over the top. Serve immediately.